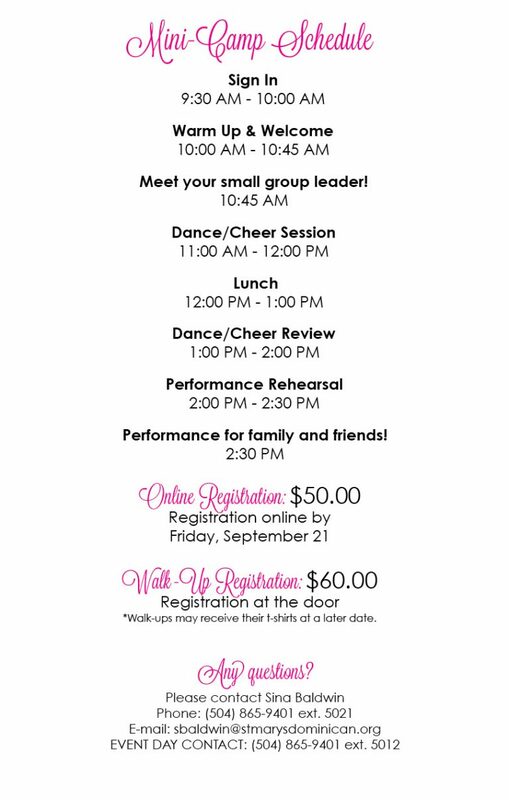 Who’s invited – Girls in grades K-7th & middle school dance teams. 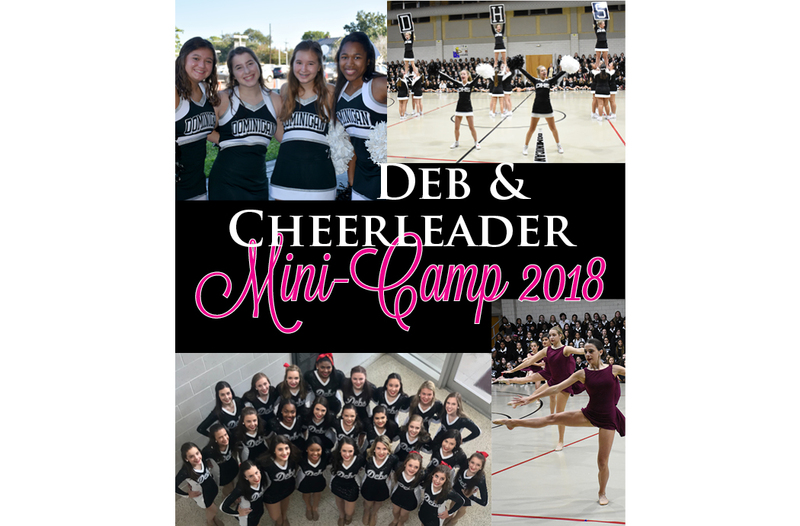 Campers will choose whether they want to do a dance (Debs) or cheer session. How will the sessions be run – The girls will be divided into groups by grade level. 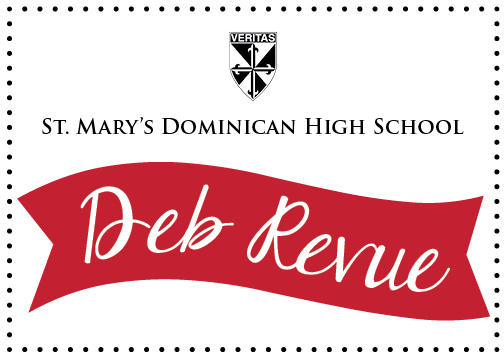 Each group will be monitored by adult chaperones & instructed by members of the Dominican Debs or Cheerleaders. Download the walk-up registration form here – Bring the completed form on Saturday, September 29.